Considering our distinct lack of big wave set ups, Britain’s ability to produce international level chargers over the past decade or so has been something to behold. There are a string of notable names, hailing from all over the British isles, who have made a solid impact on the global scene, pioneering new spots and stacking big wave award nominations. Whilst names like James Hick, Mitch Corbett, Taz Knight and Al Mennie deserve a mention, there are three British surfers who have consistently stood out, and still reside in the very top echelon of international chargers. They are; Tom Lowe, Andrew Cotton and Tom Butler. Over a series of in-depth interviews we’ll profile these hellmen, in order to find out what makes them tick and how they’ve risen from humble beginnings to become fixtures of the big wave world. 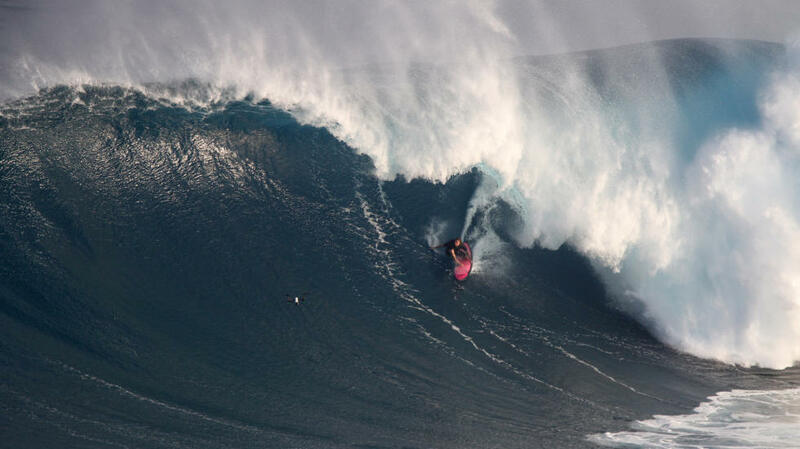 WL: Lowey, congratulations on making the Big Wave World Tour, how does a lad from St Ives end up being invited to compete in the top ranks of big wave Surfing? TL: Thanks mate, so stoked! Well it was a long road for me. Been chasing heavy waves for well over a decade, most of the time with no sponsorship and scraping by. Still skint for the record! Haha. The past five years I’ve tried to be on every swell I can at all the biggest waves around the world. Didn’t miss a swell this winter apart from a tow day at Jaws. Keep in mind I did stints at Mavs and Todos six years back, then Jaws three years ago. Done a handful of Puerto seasons, Tahiti on a few big swells, lived in West Oz for a handful of seasons. Then all those years in Ireland. A lot of time spent in waves of consequence. I’m rambling but what I’m getting at is that personally it’s been a slow path from the bottom up. That’s not to say you can’t explode onto the scene like Lucas Chumbo. But that’s the way I got my name in the mix. WL: After spending many years based out of Britain and Ireland, you moved out to Portugal full time last year, how has the move affected your life and career? TL: I locked in sponsorship with Vans head to toe a year ago, and Hubbox which is a local friends company. So it’s not like this winter in Portugal’s been a game changer for me. It’s the swells I hit at Mavs, and last summers in Puerto that might have got their [The WSL’s] attention. Also a big thing is joining Instagram a few years ago. I can share with my peers and people who follow underground swells and rides which went down back in the day, which are up there with any heavy waves. I really think that’s been my main tool for sponsorship and getting content out there. Every swell I can tell my story and share the waves I’ve caught. It’s more obvious at the end of the year who’s been charging the hardest because it’s on Instagram to see. WL: As with all competing, the BWT requires a higher wave count and more consistency than a normal big wave session, where you might just get one bomb. Does that change your training, approach and mindset heading into the events? TL: I don’t like to compare myself to other people. It’s never been my way with surfing. I’m competitive in small things, like if we had a fun tennis match I’d be pissed if I played crap. But with surfing and especially in big waves it’s a real spiritual thing for me. A lot of people hate that word ‘spiritual’ but at some time in all our lives things and feelings come about which we can’t comprehend, mad energies, tragedies, experiences we can’t explain. Im not a tripper I’m just being real. I’ll go out into the contests and try my best to get two big waves in the time we got. Simple. I usually catch plenty of waves on swells but nature has the last say. If they don’t come to me then it’s not my time. If they do I’ll go for it. Trimming wise I won’t change a thing, I got spearing when I can for underwear holds. Go beach running sometimes. Do some strength work in the gym for my shoulders and legs a few times a week. Then yoga yoga and more yoga. WL: Britain has a substantial presence in the big wave world, compared to a relative lack of success in high performance competitive surfing, why do you think that is? TL: There’s less of us, so less competition maybe. I don’t follow competitive surfing much so I’m not that clued up. Even the tour I didn’t follow closely. Just when my mates were in it or when an event was massive would I’d watch. So not much help on that subject. 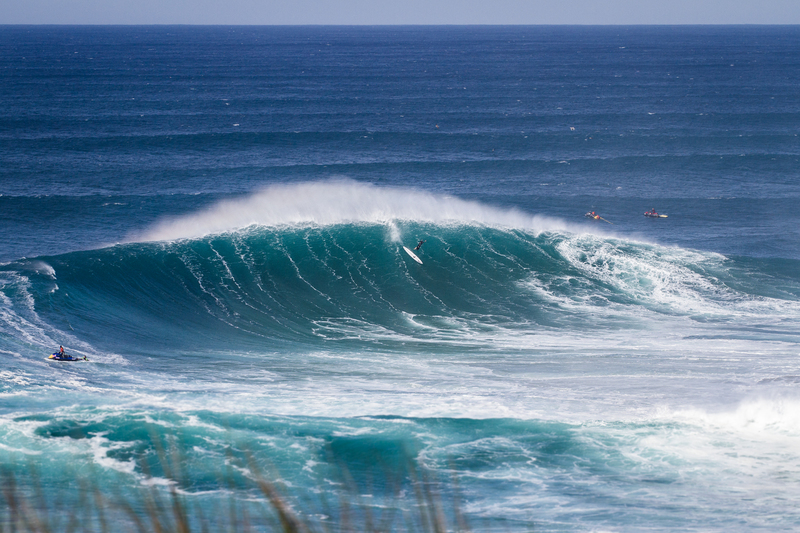 TL: Puerto period has now started and its one of my favourite waves in the world. I really can’t wait for that. Then Jaws will be a huge challenge, which I know I’ll embrace. Been wanting to give it another crack, now I’ll have my chance. 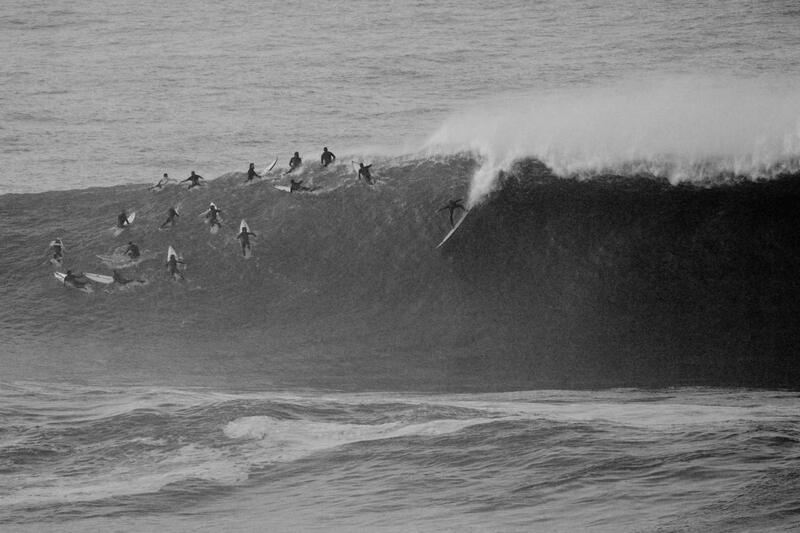 Nazare is always wild and dangerous, even at 10ft, so that’s gonna be hectic. But no different from every other mental day out there. Most importantly I’m gonna have fun and enjoy it. TL: Thanks mate, good luck this year!